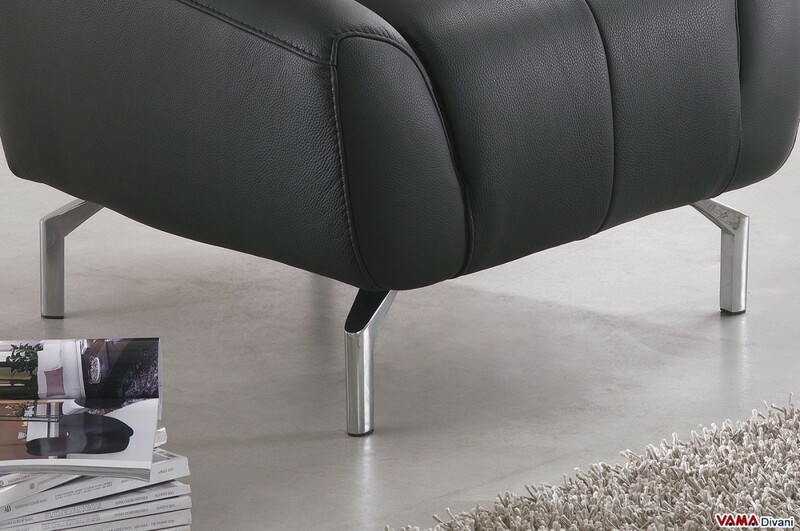 The leather Samourai armchair presents very suggestive lines, designed and realised by great skilled craftsmanship in the name of modern originality. 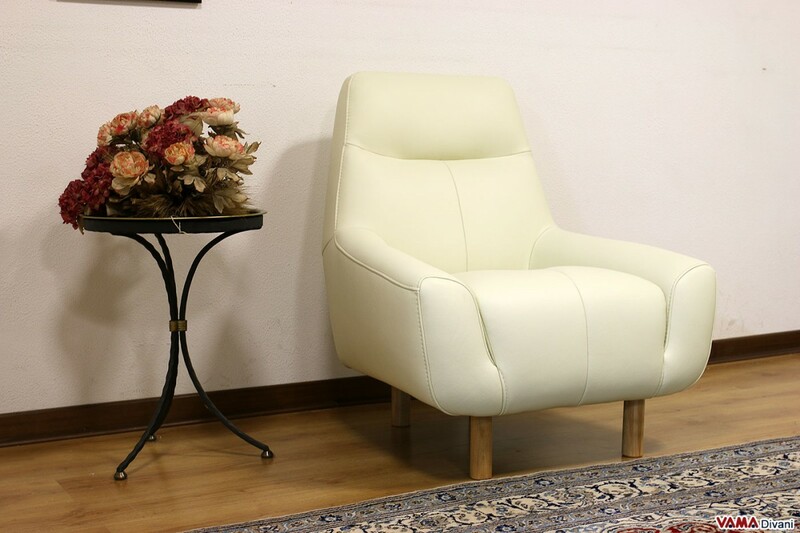 Many features make this contemporary armchair very interesting: the very low side arms, its high back, its slightly inclined seat, as well as its unusual steel feet. 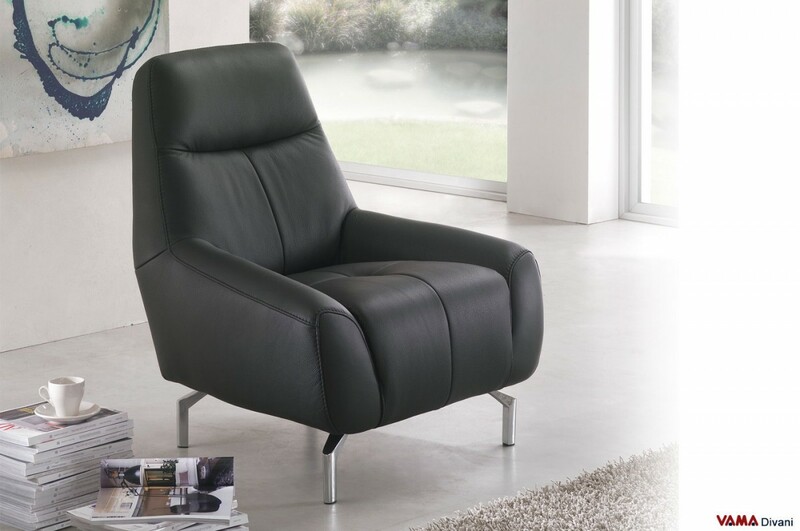 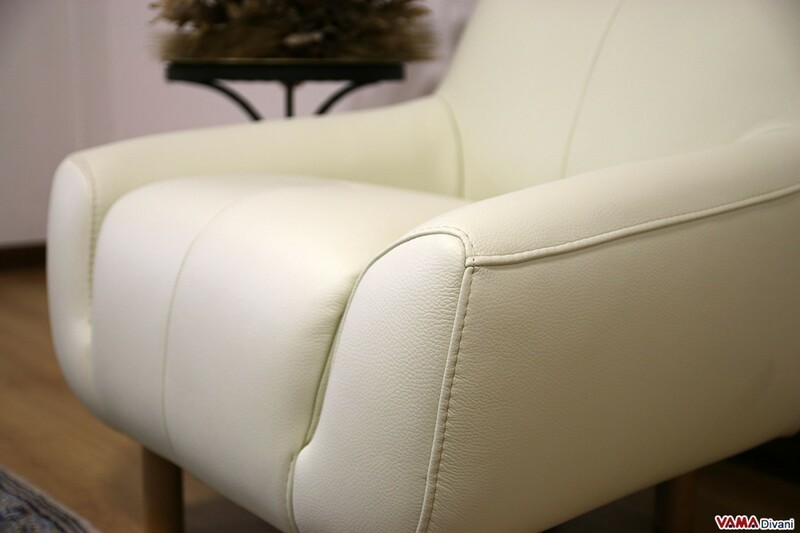 The upholstery of this leather armchair is decorated with nice seams, and it is a version that really offers the best level of comfort and convenience, thanks to its very soft padding and a perfectly ergonomic design. Despite being a very bold model for its design, the Samourai armchair can be easily matched in modern furnished contexts, and it is perfect for living rooms, offices, or simply to recreate in any room of your house a corner where you can sit and relax.